Registration is now open for MCICM’s first symposium on innovation of the symphonic orchestra! The symposium takes place in Maastricht, at the St. Jan Church and the Conservatorium Maastricht, from 29 to 30 March. Register here! Classical music institutions are faced with challenges. The need for innovating concert practices is widely acknowledged. The Maastricht Centre for the Innovation of Classical Music (MCICM) aims to study the dynamics of changing classical music practices and their societal contexts, and to actively shape classical music futures. 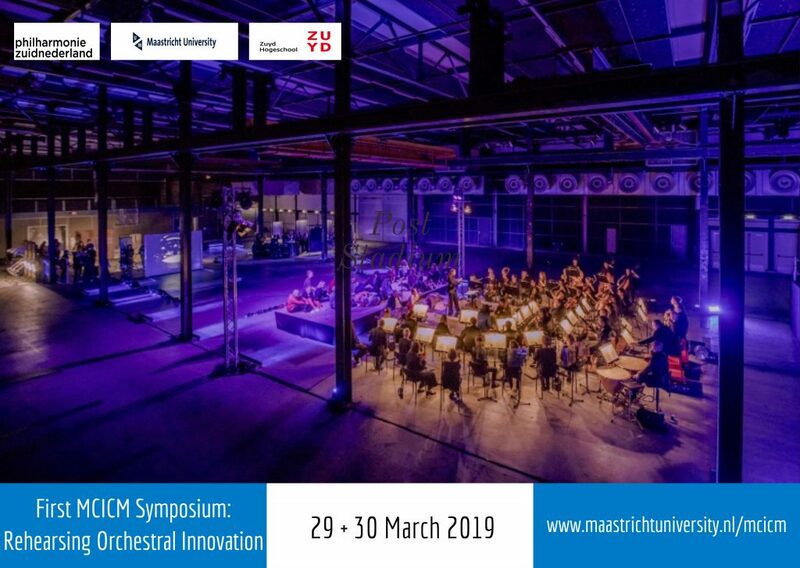 The MCICM is a structural collaboration between The South Netherlands Philharmonic, Zuyd University for Applied Sciences and Maastricht University. The centre combines academic research on innovation of performance practices with artistic research to renew classical music practices and music education in artistically relevant ways. The first MCICM symposium invites delegates from the professional and amateur music sector, classical music industry, music education, and academic and artistic research on musical performance and audience engagement to discuss the central theme of collaborative learning and experimenting. The main question is how combining academic and practice-based artistic research can ‘open’ and ‘extend’ the ritual of the symphony orchestra concert. For the full updated programme and practical information about travel and accommodations, please visit the event website at www.mcicm.nl.